Even as I write this, I can see the humor of my heartbreak; I know that someday I will laugh at the situation. And let me warn you that logic does not work with an angry 19-year-old. "I don't even believe you're my parents anymore!" my 19-year-old son yelled as he raced down the stairs. This was the second time he had walked away from the conversation, and the first time he slammed a trash bag against the door frame until it burst. You might wonder what caused this outburst. I told him that we wouldn't pay for his apartment while he attended college unless he passed his classes. I'll just wait a minute while you re-read that last sentence. Let it sink in. As parents, we were insisting that this boy, who went to college last year with scholarships in hand because of his high test scores, attend class and pass the classes, if he wanted us to pay his rent. Many teenagers or young adults might be happy if their parents paid for their college. Others might be thrilled if parents paid their rent, but apparently we went too far in agreeing to pay for both if he received good grades. If you are trying to understand this logically, give up. Last fall, my youngest son left for a 4-year university. A perfect storm of illness, wisdom teeth infection, a girlfriend at home, and a room full of four guys convinced him that college wasn't for him. He only passed one of four classes he took. He moved home in January and attended a local community college. Again, only passing one of four classes. In May, before we knew he hadn't passed the classes, we let him move in with a friend. The two of them started a business, which blew up, along with the friendship in July. We never liked the roommate, so were happy to have him move home. He had talked about getting a house with three other guys, one of whom went to high school with him. This past Saturday, we scheduled my son's classes for the fall. He has decided to take a two-year welding program. That's fine, but we don't really see him sticking with a trade job. He has never been a hands-on kind of guy, the kind who likes to get dirty or even play with Legos. While scheduling classes, I asked him to pull up his class from this summer, and he hadn't passed it, just by a small amount, but still. The next day, I asked my son to join me for breakfast. He didn't have time. On Monday, I again suggested we go somewhere to talk. No time. On Tuesday, I saw him in the kitchen and attempted to bring up a conversation about the possibilities for him this fall. He could return to the 4-year university and live in an apartment with his brother while taking a few classes to explore what he wants to do. His eyes went blank, as if he'd pulled down shades, like a character from a cartoon. "Why do you do that?" I asked. "You aren't even listening to anything I say." "Because you always second guess me," he said. "When have I done that?" I asked. And that's it. Just this one time that I thought he might not want to be a welder and knowing that he hadn't succeeded in the class he took this summer. On Thursday, he decided to make peace and let me know that he and his friends had found a 4-bedroom house to rent. That's when I released the bombshell that we wouldn't pay for an apartment until he passed his classes. "So I have to live here until December?" he asked. He couldn't possibly do that. Living here was impossible! He didn't even want to go to school at all. The situation didn't improve, and when he stormed out the door to go to work, I was left wondering if he would quit school and simply move out. It's not what I want. I want to help him succeed at college, and I think I'm doing everything that I can toward that. He came home last night after I was in bed. No one has talked about what will happen, what his future holds. Right now, we're all kind of waiting to see what happens. I'm sure I broke my parents' hearts when I was his age. I was rude and entitled. I traveled to faraway cities to live a couple of times. To adults, it seems silly that he wouldn't take the offer of college and get a degree to be whatever he wants to be. Last night, I was talking to a student, probably in his mid 20s, who told me he is having trouble getting to class because he has to take care of his 1-year-old daughter, and the girl's mother wants nothing to do with her. We talked about how difficult it is to go to school while raising a family and working. He told me his 17-year-old sister thought she didn't want to go to college, and he was trying to convince her to do it now. "You know," he said, "there's some people who can't learn from watching other people. They have to make those mistakes themselves before they learn." And that rang true for me. In the midst of my broken heart, in the midst of standing fast to the rules we've set, in the midst of loving my son in spite of his misguided path as he grows up, I know I have to let him make his own way and hope that I'm around when he's ready to ask for guidance. 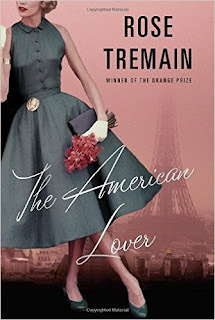 This collection of short stories, The American Lover by Rose Tremain, has a first story that takes place in 1960s Paris, so, of course, I'm intrigued. But it doesn't start there. All day long, lying on the sofa in the sitting room of her parents' London mansion flat, Beth hears the clunk of the elevator doors opening and closing. Sometimes, she hears voices on the landing -- the people arriving or departing -- and then the long sigh of the elevator descending. She wishes there were no people, no elevator, no pain. She stares at the old-fashioned room. She stares at her crutches, propped up against a wing chair. In a few month's time she is going to be thirty. I don't know. Sounds kind of like first-world problems -- in her parents' mansion flat and she hates everything. I hope I enjoy the book and that the main character isn't a whiner. The cover is striking, but apparently it only came with the hardcover book. Looking forward to everyone else's books today. While we were in the South of France in March, we took a day trip to Cassis. It's one of those villages that you hear about where people are charmed. Surprise, we were too. When we arrived, we learned that market day was in full swing. The streets are narrow on normal days and blocked off on market days. We parked in the municipal lot and wound our way to the center of town to the tables and tents of the market. I stopped at an adorable toy store and bought a pop-up puppet for my friend Emily's new baby. The puppet was Puss-in-Boots. I didn't take a picture of the puppet, but I did snap a photo of this adorable ride-on toy that looks like a lady bug. Here's a picture from the edge of the market, which was fine, because we didn't need to do any food shopping any way. You can see the lovely pale-colored buildings and the distinctive trees trimmed closely, their leave not out yet. And just a few steps from the market was the harbor. After walking down to the beach, we returned to the buildings you can see behind the boats and we had a cup of coffee. If you look closely, you can see me and Earl in this picture. He's reflected in my sunglasses. Also, notice the cliff behind me. Everywhere we turned the scenery was beautiful. Thanks for playing along with Dreaming of France. Please leave a comment and visit each other's blogs, too, so you can get your fix of France dreams. Hope everyone is having a sun-shine filled July. 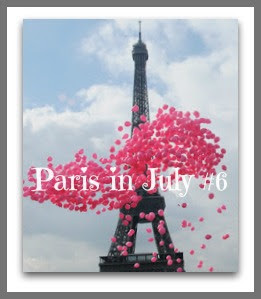 I'm hooking up with Paris in July as the month sadly comes to an end. 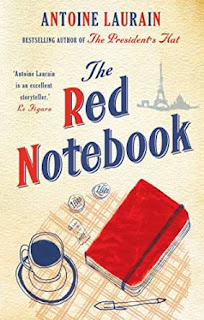 Yesterday I shared the intro to The Red Notebook by Antoine Laurain, and I hinted that the ending would be dismal because it is written by a Frenchman. That is what I've come to expect with French books and movies. They don't count on a happy ending. My family jokes that a movie may be considered a French comedy if only a few people die. So imagine my surprise when I finished the book and found an untypical ending for a French book. Quite optimistic, actually. So I can happily recommend that you read The Red Notebook. The writing, even though translated into English, is quite beautiful. The plot is simple but compelling. So that's two pleasant revelations that I received yesterday. The taxi had dropper her at the corner of the boulevard. She was barely fifty metres from home. The road was lit by streetlamps which gave the buildings an orange glow, but even so she was anxious, as she always was when she returned late at night. She looked behind her but she saw nobody. Light from the hotel opposite flooded the pavement between the two potted trees flanking its entrance. She stopped outside her door, unzipping her bag to retrieve her keys and security fob, and then everything happened very quickly. A hand grabbed her bag strap, a hand that had come out of nowhere, belonging to a dark-haired man wearing a leather jacket. It took only a second for fear to travel through her veins all the way to her heart where it burst into an icy rain. I'm looking forward to seeing what everyone else is reading. This week, I finished reading two books set in France, so I thought I'd review them for you, to save you from having to read them. 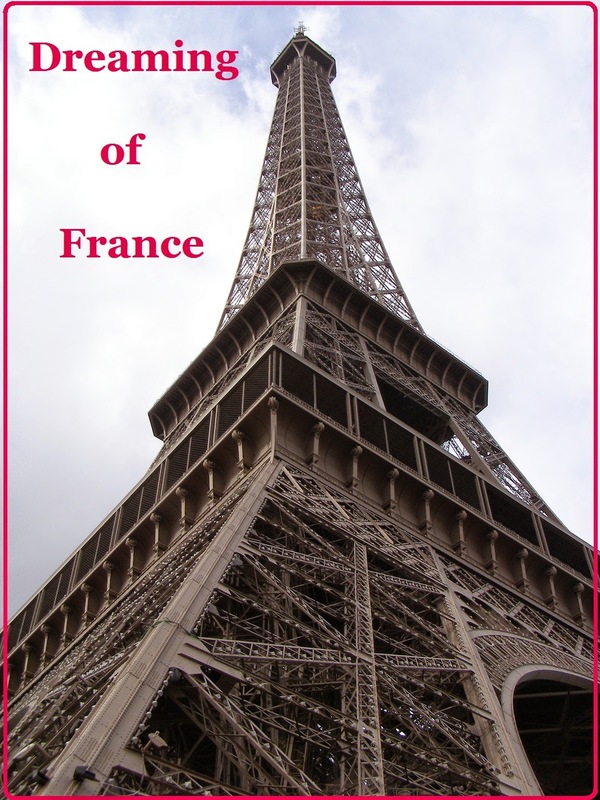 I devour books set in France. Starting with Peter Mayle's A Year in Provence, I fell for the memoir or novel that takes place in France, letting me travel there through an author's words. The stories for the two books I read were fine, but the books didn't paint word pictures to take me to France. 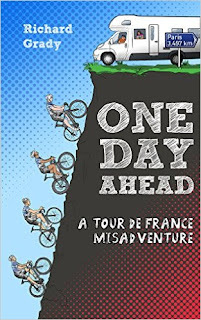 First I read a memoir called One Day Ahead: A Tour de France Misadventure by Richard Grady. I've been following the Tour de France bike race that past two weeks, and this book promised to take me inside the trials of covering all those miles by bike. The author didn't ride the tour roads, though. He was support for a friend and three other guys who decided to ride each leg of the Tour de France on the day before the actual racers rode them. Throughout the trip, the author was miserable. I couldn't figure out why he was doing it. 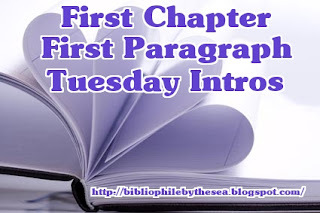 The story itself seemed entertaining, but the writing focused more on getting from the beginning to the end than it did on transporting the reader to France. I missed the beautiful setting, the scrumptious food, the charming people, and instead, I got stuck in a motorhome with someone who hated the entire trip. He drank a lot of tea and got drunk on wine a couple of times. If you love bicycling and are curious about how much it takes to support someone on the Tour de France, then you should read this one. Frenchman when she and her boring boyfriend Bradley go to stay with him on vacation. Before the reader can blink an eye, she moves to France to live with the perfect physical specimen of a Frenchman, Scott. She sees signs that he is controlling and stubborn, along with stingy and cheap. She doesn't get along with his parents, and he has a lot of problems with her parents. Nevertheless, the two marry. Right up to the actual wedding, I keep thinking she'll back out of it, but she doesn't. And things only get worse before she is able to rescue herself. Again, Jen doesn't really enjoy all of the things I love about France, which is kind of the point of reading a book set in France. This book also has a number of copyediting errors, like run-on sentences or incorrect paragraphing on dialogue. The plot kept me reading, but the author could have painted word pictures to put me in the scenes rather than simply telling me about what happened. 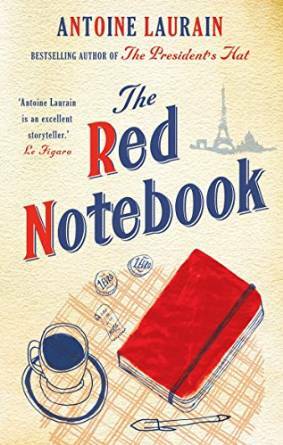 I'm starting The Red Notebook by Antoine Laurain next. Hopefully, I'll enjoy that one. I'm also connecting with Paris in July. Earl and I both know that the end of his job could be inching toward us. Last week, one of his co-workers announced 60 days left until the possibility of them losing their jobs. We have a backup plan, as I announced in my post France Dreams Coming True, but we're still kind of in denial. That plan requires selling our house. And whose house is ready to go on the market? On Friday, I made one small step toward preparing it. I cleaned up the area around my desk. Our house is small with two bedrooms upstairs and another bedroom downstairs. My desk is situated in a nook in the hallway. I don't often write there because I need a window, so I haul my laptop to the dining room table or the front porch. 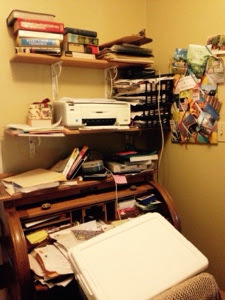 But papers I've graded and notes I've taken and bills I've paid, plus all of the paraphernalia gathered from the kids' events and school reports gathered on my desk in the past five years. Here's how it looked before I started to clean it. Hours later, with three boxes full of recycling and three neatly labeled crates, one for each child, my desk area looked neat. Now if I could just convince myself to work on one area each day. Or if I would pull one box out of the basement storage room every day and figure out what is worth keeping or what needs to go, I could be ready in 60 days to throw the house on the market. But, a bigger challenge awaits if we do sell the house, because how can we get rid of everything. Everything! Wooden trains and American Girl dolls and rocking horses. Carefully made quilts and snow globes of Paris. Framed photos of all those family members. Maybe I'll put them all in small boxes and whenever someone comes to visit us in France, they have to bring along one of our momento boxes. Today, hopefully, we're riding our bikes down to the Rib and Jazz Fest to listen to some music. We planned to go last night, but the extreme heat and the itch of my poison ivy convinced us to stay home. My husband treats me like a fragile flower. It's not that he thinks I can't do things, but he thinks that I shouldn't have to. I'll hoist a trash bag out of the can and head toward the back alley. "Paulita, I'll get that!" he calls. If I'm scooting past him in the kitchen with a basket of laundry toward the basement, he'll say, "I'll take care of that." Outdoor work, dishes, laundry, my husband quickly jumps in to take care of it. But a lot of times, his hard-working ethic and attitude make me feel like I'm lazy. So last week, I decided to tackle an outdoor job. Our front yard is a waterfall of ivy down to a stone enclosed flowerbed. Here's a shot of the vines flowing down the hill behind this blooming gladiola. The surrounding trees often decide to plant their seeds in the ivy, so small trees begin to grow up. I wanted to cut down the trees and assorted weeds to clean up the ivy. Wearing shorts and a tshirt, plus a pair of garden gloves, I picked my way over the ivy pulling up weeds and sawing down tiny trees. I filled up a trash can that we use for yard waste before I threw in my trowel. No one in my family noticed my gardening efforts, but I felt proud that I helped in my own way. Then a couple days later, a bug bite began to itch, and when I examined the bites on my left arm, I realized that poison ivy had sprouted from my gardening efforts. Now I'm busy applying alcohol to my rash, but it seems to keep popping up in new places. The first of the blisters have appeared on my right arm now and a couple on my leg. What really bugs me, in addition to the itching, is that it doesn't all show up at once. It takes its time making an appearance. "Oh, it's just poison ivy," I said dismissively. "Stay away from me!" he said. "Poison ivy is only spread through the plant oils," I told him. "It looks kind of juicy," he said. He actually said that. "Juicy." For the record, it's not; it just looks gross. Having learned my lesson, I won't be doing any more yard work. These poison ivy blisters might leave some permanent scars on my arms. Usually, when I get poison ivy, I end up at the doctor to get steroids. My body treats poison ivy like a wildfire, allowing it to spread fast and in all directions. I'm must be especially sensitive to it. I'll still carry out the trash and the recycling, but I did ask my husband if he wouldn't mind doing the laundry, just to make sure that I didn't get any more of the poison ivy oil on my skin. Maybe I am a fragile flower after all. One reason that I started writing novels set in France was because I could find so few. After I'd fallen in love with A Year in Provence, I wanted to read more about the thrill of living in France. 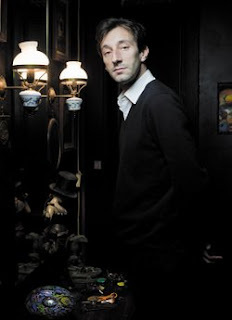 Since then, many books set in France have arrived on the scene. Some of them are terrific, other are mediocre, and others, I didn't even finish. 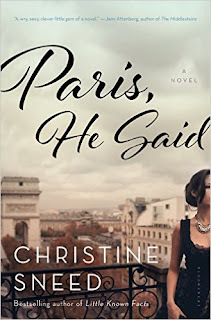 Recently, I found Paris, He Said by Christine Sneed, which just came out this year. 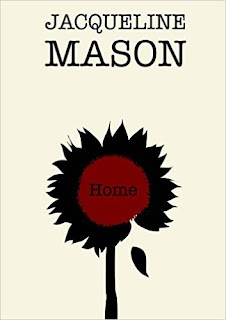 The novel features Jayne Marks who lives in Manhattan and wants to be a painter. Her older lover owns galleries in New York and Paris, so Jayne jumps at the chance to move to Paris and focus on her painting. "Six weeks will give you enough time to prepare, I hope," he said. A moment later he added, "Please understand that I am not proposing marriage. But I do not want you to bring home other men. You are with me, yes?" "I am," she said, surprised. "I wouldn't think of bringing home another man. I'm not like that." He held her gaze, trying to suppress a smile. "You say that now, but it isn't impossible that you will changes your mind. Beautiful women often change their minds. I have seen it happen more than once." Did it happen to you with someone else? she wondered, but didn't ask. Did he really think that her desires and allegiances could mutate so quickly? Maybe he thought this of all women. "What about you? she asked. "Are you going to bring home other women if we're living together?" Or men? But she didn't think he slept with men. "No," he said. "No question. But what you do and what I do outside of the apartment, that is not for the other person to worry over. All right?" Well, that's intriguing. I don't think we're in Kansas anymore. Now that Jayne lived in Paris, she could see these monuments every day if she walked southeast from the apartment toward the Seine. Whenever she did, she would pause to watch the river traffic, the sound of boats and rushing water filling her with an unaccountable surge of hopefulness. From the north end of the Pont Alexandre III, she could look across the swift, murky river to the immense golden cupola of the Hotel des Invalides, Napoleon's remains interred beneath it. I'll let you know if I enjoy this one. Hope you all have something beautiful to help you dream of France. I'm also connecting with Paris in July. Since this book is set in Paris, parfait! I don't know how many times I've started this blog post, but it keeps drifting off. I think that happens with things that I'm emotional about. A few weeks ago, after a morning of teaching, I looked at the screen of my phone and saw that I'd missed a call from my husband. He knew I was teaching, I thought. Why is he calling me? But he'd sent a text too. "Dispatch is being sold. Call me when you can." And that's how, one morning in June, that we both learned the company that has supported our household for 17 years might be coming to an end. That's a scary scenario when you're in your 50s like we are and learn that the primary family income is in jeopardy. My husband's newspaper company has been fairly stable in spite of the bad economy seven years ago. There'd been some lay offs and some shake ups, but Earl flowed from assistant editor to copy editor to reporter. Suddenly, it seemed very likely that Earl might lose his job. Because while he left editing behind, the company left his pay the same each timer. Meetings the next few days, meant to soothe worries, left us in a bit of a panic. No one would lose their jobs for 90 days, the new management assured the editorial staff. I created a budget that showed we could survive on my salaries if we needed to, and if we didn't pay for college. Our boys are both still going to school. We talked about possibilities in the car, sitting at the dining room table, lying in bed in the morning if we both happened to be awake. "Well, there's the house," one of us said, I'm not sure which, but the house we bought seven years ago has gone up in price enough to leave us with a tidy profit if we sell it. We looked at different neighborhoods close by and discussed where we could move. I talked with Earl about job possibilities and he started sending out feelers. Our long-term plan has always been to retire to France. We love to vacation there, the lifestyle, the food, the scenery, the language. So Earl began to question whether that could happen. I've always insisted that we need to have a home in the U.S. If we bought a new home in Ohio, we couldn't afford a place in France. A note from my Aunt Esther helped change my mind. (I wrote about it a few weeks ago here.) She wrote to thank me for my book Trail Mix and for the opportunity to go on the adventure. She had always wanted to hike the Appalachian Trail and is unable to now. "My other dream was to walk the Grand Canyon. But the Old Mother Nature's Clock just went too fast," she wrote. And it struck me, we aren't that far away from where she is. How fast will those years ago and how many regrets will we have? If we buy a house in France, we could always sell it to buy a place in Ohio if we wanted to come back. And so, I said to Earl, "We can move to France." "If you lose your job, we can sell the house and move to France," I repeated. "I know it's what we've wanted." I've applied for jobs teaching English at French universities. I imagine my odds will increase if I'm actually living in France. I could even teach online courses for my current universities in the U.S. Teaching online would allow me to live anywhere that has an internet connection. We could get a three-bedroom house and rent out rooms through Air B&B to make extra money. And we've always dreamed of creating a writer's retreat B&B. 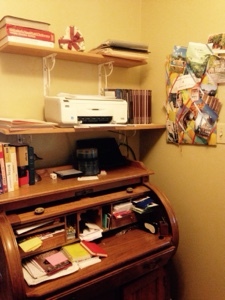 We could redo outbuildings like garages or barns to be rooms and cozy writing nooks. We're about 30 days into the guaranteed 90 days of job that Earl was promised. We've done very few chores to prepare the house for sale, but we've made plans in our head and we've shared the news with some friends. "Oh, I hope Earl loses his job," my friend Tracie said. "Can I hope that?" The status quo is so comfortable, but maybe it's time to take a few chances on adventure. Within the year, within six months, I could be writing this blog from somewhere in France. 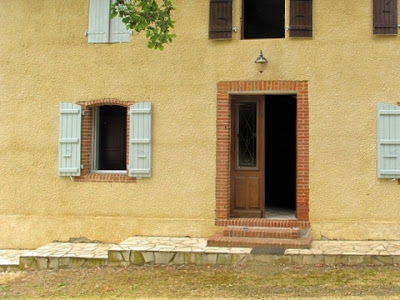 Maybe this farmhouse for sale with a view of the Pyrenees. Maybe this farmhouse with an old barn in Limousin. We're about to set off on an exciting new episode. I hope you'll all come along. Not being able to run in the morning leaves me a little antsy. I go for walks. I've been to the gym to do weights, to swim, or to pedal on the stationary bike. My knee feels much better, but not quite ready to try running again. 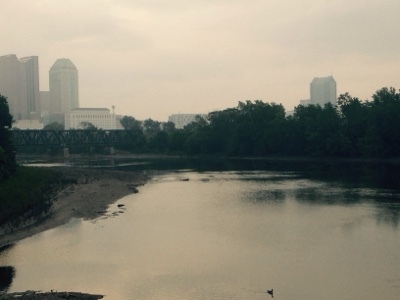 On Tuesday morning, my husband was awake at 6:30 a.m. (an unusual occurrence) and we went for a bike ride. I convinced him we could drive down the main road to the bike path. Even at that hour of the morning, we took our life in our hands to ride down that main road. Once on the bike path though, we had it to ourselves. Along one side of the trail, I could hear the cars whirring past on the highway, but surrounding me were trees and bushes and rivers. I paused briefly to watch a white egret fishing in a low-head dam. 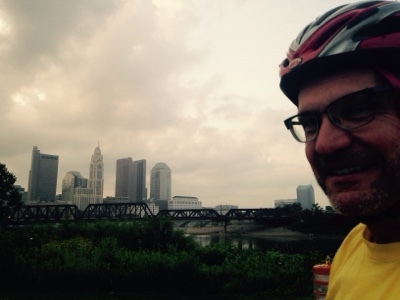 We rode to downtown Columbus. We might have continued on to the Audubon Center south of town if not for road construction which redirected us onto morning rush hour roads. So we turned around and rode home in a different direction to avoid the busiest roads. Two great blue herons walked peacefully in the confluence here, and a third one buzzed past and they all three took flight. We rode for about 45 minutes, returning home in time for Earl to get ready for work. A lovely way to start the morning. One good thing about hanging out with photographers is that they have an eye for the unusual. My husband and I met blogging friend Linda Mathieu and her husband for a drink while we were in Paris. Linda writes and posts her photos at Frenchless in France. She's also a great tour guide, I've heard, and she's written a book Secrets of a Paris Tour Guide. We laughed a lot and enjoyed our conversation -- in English. As we left the brasserie, Linda pointed to the top of a building along rue Mouffetarde. After she pointed it out, I noticed the elaborate painting. But first I only saw the four portraits above the awnings. On closer look, I saw what drew Linda's eye, the elaborate gold vines, leaves, birds, boar, pig, deer and goat stretching to the roofline of the building. I'm not sure if this would be considered a trompe l'oeil painting or not, and I couldn't find anything about it online. Imagine the time and attention that painting must have taken. And how many times has someone climbed on scaffolding to restore that painting throughout the centuries? I almost forgot about Paris in July, which started, obviously, in July. So I'm going to play along with them too. It's a funny thing about dreams, how they grab hold of your heart and squeeze. And who knows why one dream ignites in a person, and a different dream ignites in another person. This morning, after a walk in the early morning quiet, I turned on the Tour de France. It's only day two and they're in the Netherlands, but as they biked through the narrow medieval streets of Utrecht, the camera focused on the buildings, with their curious step down roof lines, I felt that longing once again to be there, in Europe, in France. I want it so much that it hurts. Synapses fire in my brain, nudging me to figure it out so that I can live in France. 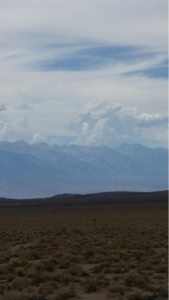 I thought of dreams earlier this week too when my running friend Noreen sent a text message that she and her husband had reached Las Vegas and were driving to the Sierra Madres mountain range. And said, "Our first glimpse of the Sierras! I am home"
That made my heart soar -- to feel that sense of accomplishment, that dream fulfillment with Noreen. I take a bit of credit for helping Noreen focus on her dream, because I'm the one who convinced her to join me on a hike on the Appalachian Trail nine years ago as I researched my novel Trail Mix. She accompanied me again on a second hike, and she hasn't looked back. She hikes in the wilderness every chance she gets. This time, a two-week hike in California. She's in heaven. That's the thing about a dream, a longing. It penetrates your soul and prods you to make it happen. I'm glad we don't all share the same dream so those trails and the countryside of France don't get too crowded. What's your dream? What are you doing to make it happen? Since January, as I entered menopause, one of the first symptoms that I noticed was weight gain. I've always been pear shaped, so I'd learned to live with my chubby thighs and hips (sometimes chubbier than others), but menopause surprised me with belly fat. friend Linda. These were taken in Paris at the end of March. I hate that feeling. I vowed to get rid of the belly fat as spring arrived. I began training for the marathon. I didn't necessarily plan to run the marathon in the fall, but the training would keep me running and increase the miles each week. For six weeks, I was diligent, not skipping any of the runs, usually five runs each week. And I'd workout at the YMCA on days I didn't run. I'd worked up to between 20-30 miles each week, and I felt certain that my fat should be melting away soon. Then Saturday morning, I started down the road on my run. I had five miles to go that morning, and something in my knee caught and then popped. I didn't stop but continued and a few steps later the same thing happened. And again a few steps later. I hadn't even made it a block before I bent over to look at my knee, as if it might give me answers. "What's going on with you?" I asked aloud. A man walking across the street called out asking if I was okay. "Yeah, just hurt my knee," I said. "Don't overdo it!" he yelled. "I'm just starting," I complained. I decided to keep running, but I kicked my heels higher or stretched out my stride. I just needed to switch it up, I figured. I was headed to the track because the cushioning was better for my knees and joints. But as I ran, twice more my knee caught then popped. On the final time, I yelled out. I wasn't sure if it was pain or frustration. Instead of running, I would have to walk. I texted my running friends to complain about my bum knee. As I got back to the street, I decided to try again. Just a few strides in, catch, pop, "Aaargh!" That time, I knew it was pain and not frustration. I took it easy, resting my knee. The next morning, I went out again, thinking the pain had been a fluke. I walked along the street, warming up, and I told myself I needed to try to run, just run. But I couldn't make my body do it. My knee was too afraid of the pain. Since then, I've hurt it a few more times as I've gone down or up stairs. I plan to rest my knee for a week or so and if it isn't better, I'll go to the doctor. In the meantime, I decided that one thing that would definitely benefit my knee would be to lose weight. My poor knees! What kind of pressure am I putting on them? My friend Sheila is the diet queen. As a matter of fact, she inspired the character in my novel Trail Mix who diets all the time. For more than 30 days, Sheila has been on a juice fast. She looks great. The idea of fasting for more than 30 days seems crazy, but she told me to watch Sick, Fat and Nearly Dead, a documentary made by Joe Cross about his 60-day juice fast as he traveled across America. In addition to being overweight, more than 300 pounds, Joe had an auto-immune disease that caused skin eruptions. I can't remember how he came up with the idea to drink only juice for 60 days, but he ended up getting off his medication and losing a lot of weight, while converting others to an all fruit and veggie diet to cleanse their systems. Now, I'm not great with dieting, but I thought I'd give it a try. I bought a juicer and stocked up on fruits and vegetables. I'm on day three, and frankly, I'm not feeling great. I have a hard time knowing if that's because I'm not running or because I'm not eating. I've had a nagging headache, which is probably caused by not drinking enough water, and, frankly, I'm pretty hungry. This morning, I had a cup of hot water with lemon and ginger, and I drank more water during a brief workout at the Y. 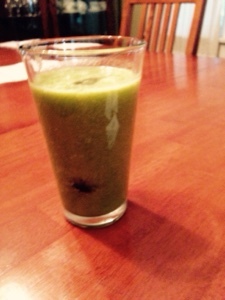 When I got home, I made a juice with kale (very little juice comes from kale, I'm not sure what the point is), a small cucumber, two nectarines and two bananas. Pretty tasty, but I'm hungry again. I think I'll move on to a juice that Grace called a bloody mary, without the alcohol, tomato, celery, and cucumber. The main staple for the juice fast is supposed to be the Mean Green Juice, which includes cucumber, celery, kale, apples and ginger. The hunger is supposed to start fading tomorrow. I'll let you know. Meanwhile, I know that people would prefer that I not try a juice fast. People have already tried to talk me out of it. One acquaintance said, "But you're going to eat on Fourth of July, right?" I mean, it's July 4th, not Thanksgiving. I think I'll be okay skipping the burgers and hot dogs. Believe me, I'm in no danger of wasting away, so let me give it a shot. I'm aiming for a 10-day juice fast, unless I get on a roll.